Designer Wallis Smith-Owens' business This Old Blouse brings high football fashion to the masses. As it turns out, wearing a dress to a football game is mostly a southern thing, but a Tiger transplant hopes to change that trend. 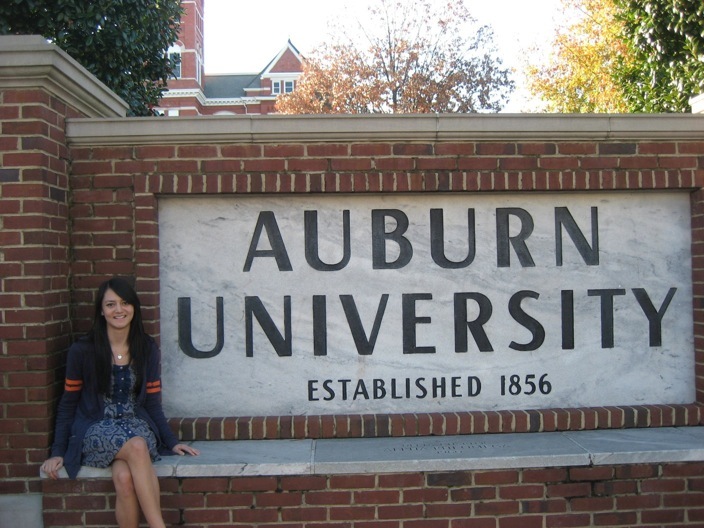 During her last semester at Auburn, Wallis Smith-Owens started This Old Blouse, an Etsy-based shop where she sells dresses made from old college T-shirts. After graduating in December with a degree in design apparel, she landed a job in Portland, Ore. and immediately noticed the difference in style. Smith-Owens works as a design assistant for Jet Clothing – a company she interned with the summer of 2011. With a minor in sustainability, the dresses were a no-brainer. She uses “pre-loved” team shirts and recycled or donated fabric. Generic Anders giveaway into a one-shoulder gameday dress? That ain't no lateral move! Portland is home to NBA, MLS and NHL teams, but she said the sports fanatics aren’t like those in the South. “Most people are fans of the Timbers (the Major League Soccer team),” she said. Not long after moving, she made a Timbers dress. Each time she wears it, women stop her to ask where she bought it. In addition to her Timbers jersey, she also made a Trail Blazers dress, but it’s not available in her online store yet. She offers four designs and customers have some say into how the dress is made. “They can pick a shirt or mail me a specific shirt to use,” she said. Customers can also choose the contrast color used in the dress and can pick other details including fabric with prints and patterns. Most of her business comes by word of mouth. She’s not the only Auburn fan in the northwest and found an alumni club to watch games with and to help spread word of her business. What about when it spreads to Ducks fans? Connect with This Old Blouse on Etsy, Facebook and Twitter. Related: ’74 Auburn grad reinvents herself with docu-tourism. Pre-order a TWER shirt for just $10 (that includes shipping)! Great to read about you Wallis and how you are still re-cycling! 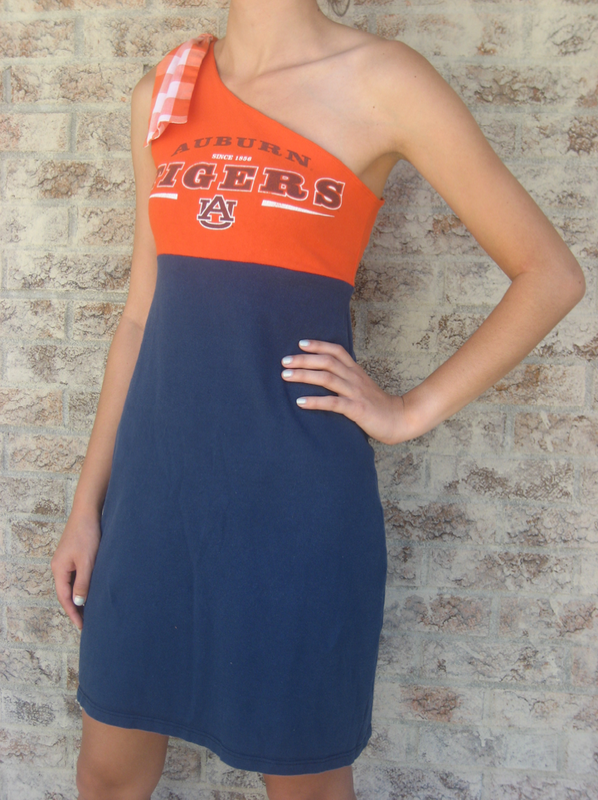 Wallis, an Auburn grad, is one of our fashion designer’s from our local boutique, here in Auburn, Al. Wallis always has very fashion forward ideas and I am sure she will keep accomplishing great things with her talents in the fashion industry. Keep up the hard work! Stop by to see me next time you get back to Auburn! War Eagle!